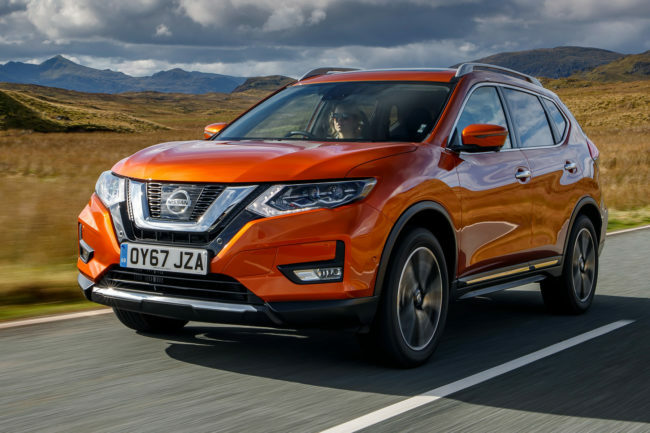 Headlining a number of gloomy UK Automotive stories is Nissan’s announcement that production of the X-Trail SUV will not be moving to the UK, despite the company having made a commitment that it would be in 2016. The company had told the UK Government that its huge investment in the UK was safe following the UK’s decision to exit from the European Union. Nissan was one of the first carmakers to get off the fence about Brexit in 2016, announcing that it has been told by the UK Government that trading with the EU would not be impaired following the decision to leave – prompted by that assurance from the UK Government, the company confirmed that production of the X-Trail would move to the UK, alongside its closely-related cousin, the Nissan Qashqai. Nissan’s UK involvement is massive, with more than 442,000 cars a year made assembled in Washington – including the Juke, Leaf, and various Infiniti models alongside the Qashqai. The story, which broke on Sky News, confirms that Nissan will continue production of the X-Trail in Japan. Critics of Brexit are saying that trading uncertainties leading up to the UK’s exit from the EU on 29 March, will be a factor in Nissan’s decision to consolidate production in Japan. However, in this case, it’s far from the only one. Falling demand for diesel SUVs in Europe as a whole, as well as a not insignificant drop in UK Nissan production, also play a major part. The company says that the decision not to move the X-Trail to the UK won’t have an affect on the 6700 jobs currently held at the plant, near Sunderland. Nissan’s decision comes as the overall picture for UK car manufacturing continues to get gloomier. The Society of Motor Manufacturers and Traders (SMMT) reports that UK car production fell to its lowest level for five years in 2018 with a decline of 9.1% in production over 2017. Exports were down, with output for overseas markets dropping – UK car exports to China slumped 24.5%, while EU demand fell by 9.6%, and registrations of British-built cars in the UK down 20.9%. Moreover, fresh inward investment in UK Automotive is down almost half (a drop of 46.5%) on 2017 to £588.6m. While there’s uncertainty in obtaining a Brexit deal it’s no surprise Nissan have changed their minds since 2016. Particularly as the 2016 decision was made by the now disgraced Carlos Ghosn. Additionally the recent EU Free trade deal with Japan reducing the tariff from 10% to 0 on cars built in Japan probably removed the incentive to build them in Europe. The real acid test for Brexit is whether the new delayed Juke is built in Sunderland or indeed the next Qashqai. The UK has to face facts and accept that the “business model” that underpins the presence of Nissan, Toyota and Honda in the UK is in the process of being destroyed. In part by our own Brexit decision which (even if a deal avoids the imposition of WTO tariffs (10%) on car exports to the EU) would still make the UK a poor place to build cars destined for the EU market due to issues such as “rules of origin” (which risk preventing the export of such cars to third countries under EU free trade agreements as they would not qualify as “EU manufactured”). And partly, as the article acknowledges, by the new EU-Japan free trade deal which progressively removes tariffs on direct imports from Japan to the EU, thus reducing the incentive to manufacture “in region”. The Japanese presence in UK car manufacturing won’t disappear overnight (the car industry doesn’t work like that) but ten years from now it’s unlikely to be more than a shadow of today. Remember, Toyota, Honda and Nissan already have production in place around the world, so exporting to “global markets” from the UK instead of exporting to the EU is of limited appeal to them. (and they don’t benefit from devaluation either as they import a high % of components). This represents the collapse of an economic pillar built up with the strong backing of Margaret Thatcher in the ’80s under the influence of her Policy advisors, key among whom was (a little ironically) John Redwood. Encouraging inward Japanese investment was seen (probably rightly) as a better bet than continuing subsidy to support an “indigenous” car manufacturing industry and never was that thinking more explicit than in the mid eighties when Nissan was given £125m of government support to help open Sunderland while simultaneously the funding requested by Austin Rover (in its 1985 corporate plan) was not approved in full – instead that company being forced to abandon development of new “all British” cars (such as the AR6 Metro replacement) and instead become essentially an offshoot of Honda (which dovetailed beautifully with the plan). It may have upset traditionalists but backing the Japanese has worked (until now) in that they have provided the output, the balance of payments benefits, the employment and the support for a UK owned supplier base which Austin Rover (formerly British Leyland) once did (but was struggling to do by the ’80s). Nissan alone produces over 500,000 vehicles annually in Sunderland, equivalent to the entire output of Italy’s motor industry, and exports 80% of them, mostly to the EU. But standing a long way back, we are doing something incredibly stupid as a nation. We have chosen one horse to back over another, seen that horse sustained by government grants and loans and grants from the European Investment Bank that might have otherwise gone to an “indigenous” British company (Nissan UK has received £450m in loans from the EIB plus £347m in grants and other funding from the UK & EU since 1986 according to the study by Farnsworth of York University). And now, having backed that horse and let our indigenous volume car industry wither away (I’m not including relatively “premium” JLR & Mini in that) – we are shooting the horse that we have backed. Brilliantly and succinctly put. Brexit will kill off the rest of the mainstream British motor industry. ( And the aircraft and electronics industries.) Not that any of it left is really owned by British people, so why should the rest of the world care? Morgan will remain the largest British owned car manufacturer, and manufacturing on that scale looks likely to be the future of British industry after Brexit. Why would anyone, anywhere else in the world want to invest in the demonstrated incompetence of Bitain now? Well, not until a few years have passed, and the collapse of the pound as a viable currency makes the UK a cheaper place to make things than Slovakia or Thailand. Then the big corporates will be back with their investments in the low wage economy of Britain. Well, I’m staying here and getting on with doing my part to make sure we survive this and take advantage of the opportunities that may come. What else do we do, other than move overseas to escape the predicted “disaster”? Actually a neighbour in my street has a 66 plate X Trail, but I agree you don’t see that many about compared to Juke’s & Qashqai. I’m not a fan of SUV’s but do wish Nissan well despite the decline of diesel and “purveyors of project fear”. I was involved with Nissan in its early days (the factory is about 7 miles from my town). 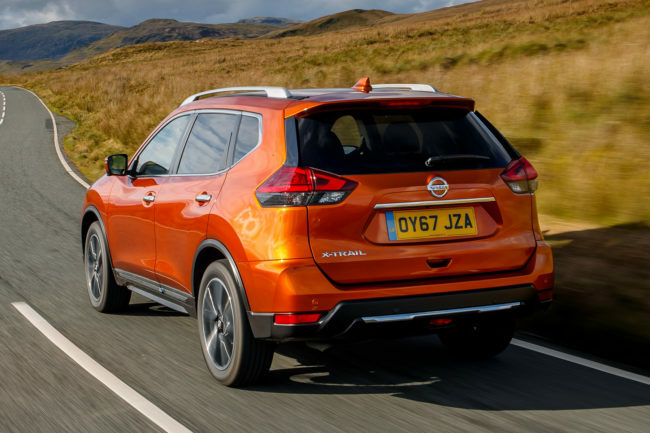 I have noticed since the tie up with Renault, Nissan’s once legendary reliability is slipping in buyer surveys and Autoexpress have placed Nissan 24th of 28th in their annual survey. If I was to buy a Japanese badged car, I’d consider a Suzuki which has all the traditional virtues of a Japanese car by being very reliable, well equipped and cheap to buy, while having some good to drive cars like the Swift Sport. Let us hope that this isn’t a re run of what happened in the late seventies and early eighties when Chrysler/Peugeot, Ford and Vauxhall shifted a large part of their production abroad due to British factories being uncompetitive and their cars being identical designs, meaning they could be produced anywhere. 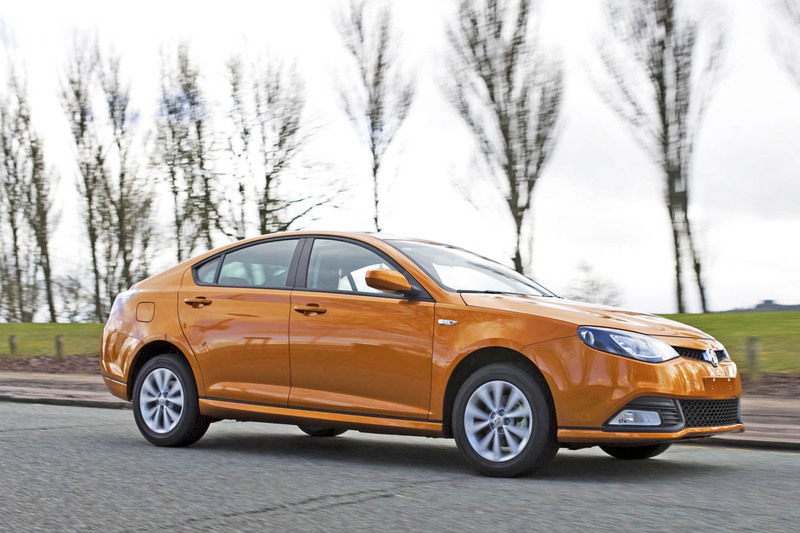 Also Peugeot acquiring Vauxhall with its remote Ellesmere Port factory doesn’t bode well considering what happened to another remote factory they acquired from Chrysler. Nissan in particular can produce cars from factories in France, Spain, Japan and India for the European market, and in this decade has already switched Micra production from Britain and decided to phase out the British built Note. It is possible as the Juke and Qashqai come up for renewal and Britain is no longer competitive due to a no deal that these could be moved from Sunderland with the loss of thousands of jobs. It’s funny isn’t it? All those blaming the so-called Brexit for Nissan’s actions……but being in the EU didn’t do much to prevent Ford moving Transit to Turkey (using EU money)……or closing assembly at Dagenham…..It didn’t stop JLR building cars in China and Slovakia…..it never stopped BMW and Mercedes building cars in South Africa and the US – and importing them to the EU……it never stopped huge slices of the supply chain being outside of the EU…..odd eh? FWIW it seems a bit odd that the X trail is not built at, an exported from, the Renault Samsung plant in Korea which used to build its sister vehicle the previous model Renault Koleos – it seems to be running at only half its potential capacity. The redundancy bill for 7,000 people would be Huge too! Also don’t forget the Infiniti Q30 is built at Sunderland aswell, not just Qashqai, Jukes & Leaf’s. Nissan have established such a presence in the UK in the last 32 years that I don’t think will end regardless of a Brexit deal being achieved… But I hope a deal is forthcoming which will make life a bit more comfortable. I do agree that Vauxhall at Ellesmere Port is vunerable too, especially that PSA now own it / and PSA are French!! I suspect Nissan is exiting the UK less because of Brexit and more because of the new EU-Japan trade deal meaning Japan can build less in the EU/UK and export more from Japan, and the unpopularity of diesels causing less demand. Perhaps Brexit has sped things up, because why would they want to build here to export to the EU subject to possible tariffs? I wonder which 1 dimensional thinkers didn’t see that coming!? That’s playing the Devil’s Advocate, especially as it would have lost a chance to export other products to Japan tariff free.